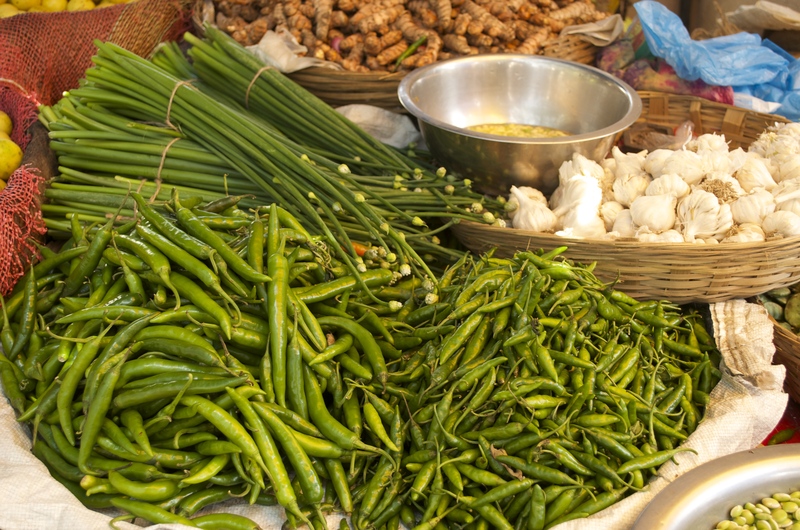 Curries are made in different ways all over India. What makes it Keralan is the use of delicious roasted coconuts. I have to admit Keralan food is all about the coconut. In every conceivable form – freshly grated, ground into a fine paste, freshly extracted coconut milk or roasted to golden pink. 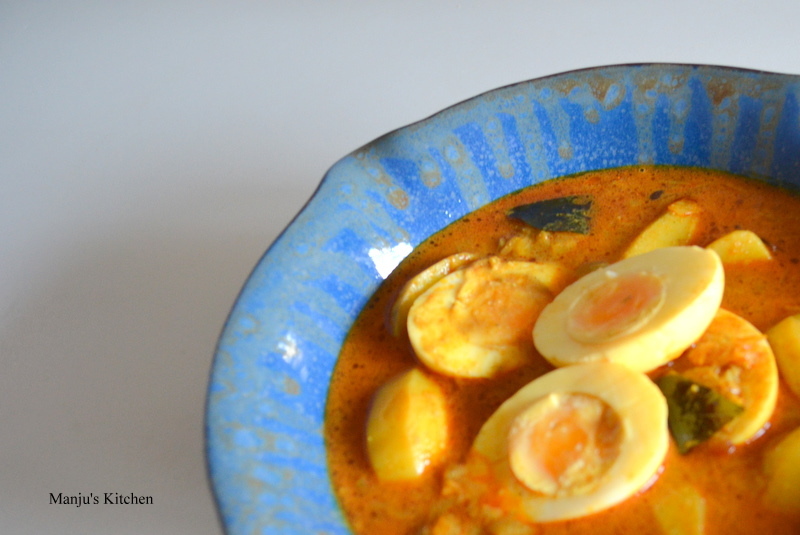 That is what this curry is all about – the curry sauce with the delicious nutty flavour of roasted coconut. Roasting snow white coconut flakes and curry leaves using a griddle sauce pan in a low flame is the most interesting part of the whole process of making this curry. 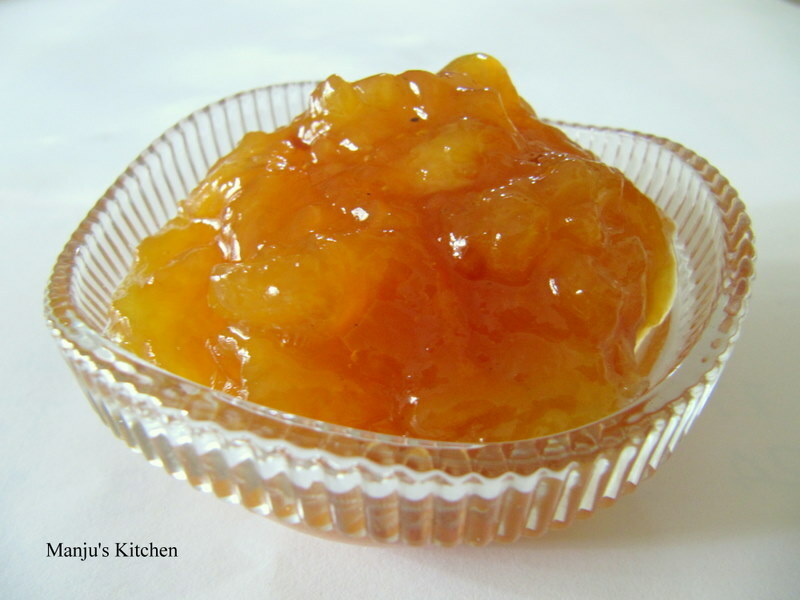 As the colour changes from white to golden pink the fragrance transforms from sweet to nutty. The roasted golden pink coconut is then ground to a fine paste and added to the sauteéd onion and spices to get a thick and nutty curry sauce. 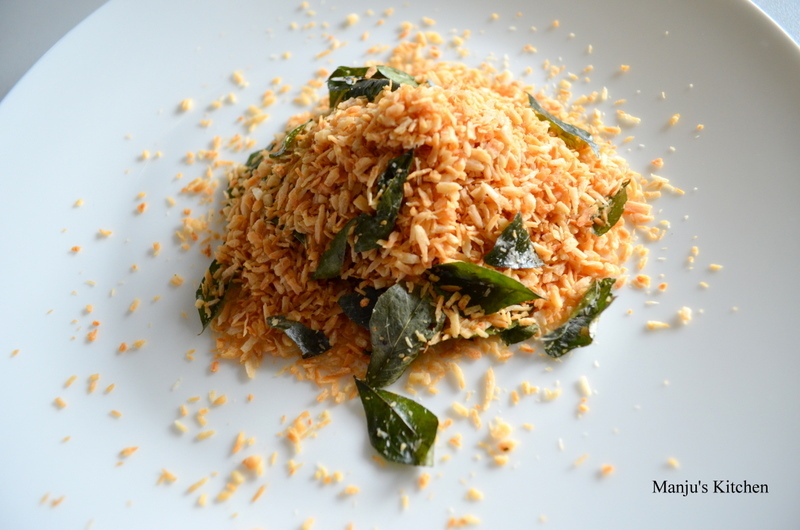 I have used desiccated coconut and spice powders in this recipe but the traditional method is to dry roast the fresh grated coconut with curry leaves and whole spices and then ground together to a fine buttery paste using a traditional granite grinding stone called an Arakallu. The sauce is heavenly…. Back in Kerala it is usually served with traditional rice breads like appam, pathiri or idiyappam, but it is up to you as to what you want to serve with; any flat bread or plain steamed rice works well as well. Heat the oil in a sauce pan and fry the sliced shallots until golden colour, add the chopped onion and curry leaves and saute until the onions are tender. Add all the spice powders and saute in low flame for a few minutes until the spices are cooked through. Add the roasted coconut paste, salt, two cups of water and potato cubes. Simmer gently until the potatoes are tender. 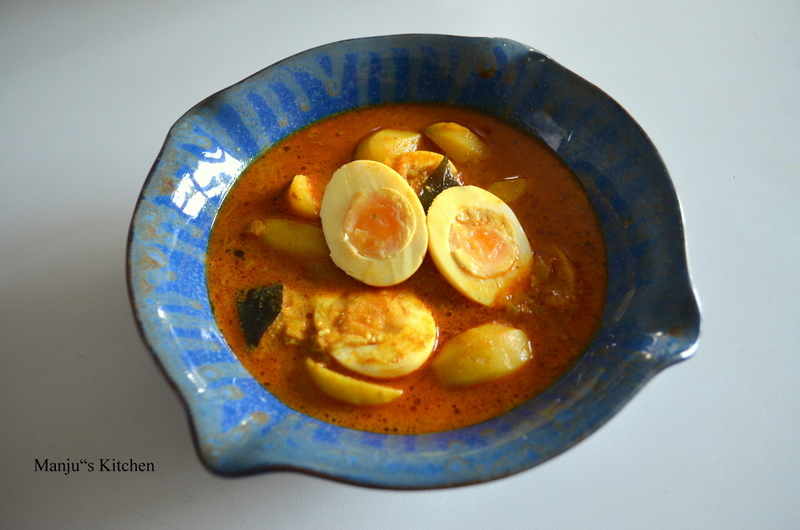 Add the boiled egg cut into half to finish the curry.